Hancock previously served as an Assistant Managing Editor at the Atlanta Journal-Constitution and oversaw the launch of MyAJC.com, a subscriber only website. Prior to the AJC, he served as Digital Platform Director for CT1 Media, New England’s largest multimedia company (CT1media.com). Hancock managed the day-to-day and long-term digital initiatives for Hartford Courant and FoxCT’s websites, mobile, and social media platforms, and he delivered on-air tech reports for The FoxCT Morning News. Previous to CT1 Media, he was CEO of Potpourri Media, LLC, a full service digital multimedia consulting company. Clients included leading media companies, trade organizations, and non-profit organizations. 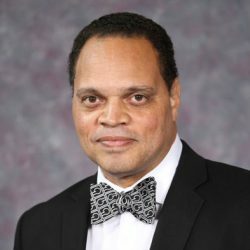 From 2008 to 2011, Hancock served as an Assistant Professor in Residence in the Department of Journalism at the University of Connecticut, where he created the department’s first social media and entrepreneurial journalism courses. From 2006 to 2008, Hancock served as a Dean in the School of Communications and a Professor of Digital Journalism at Quinnipiac University. In 2003, Hancock was selected as a Western Knight Fellow for Specialized Journalism participant. He’s been a trail blazing advocate for digital journalism for more than 15 years, working in “legacy” media as a news anchor/reporter in Washington, D.C., Baltimore, Pennsylvania, New Jersey, and Connecticut. Hancock earned an MS in Interactive Communications from Quinnipiac University and a BA in Political Science from Howard University. An evangelist for interactive digital media, he’s a sought after speaker on hot topics surrounding the Internet. He has been presented at international and national conferences including Yale University, the Online News Association, and National Association of Black Journalists. He’s been quoted in national publications, including the New York Times and Broadcasting and Cable. Michael Grillo is a co-founder and Chief Operating Officer of MyMobileLyfe. He oversees the development and execution of marketing and advertising strategies for MyMobileLyfe’s business clients. Michael is an experienced digital content editor adept at finding narratives within data and turning research into practical solutions for improved audience engagement. He previously served as Engagement Director at Penton Media, and is the former Audience Development Manager, Home Page Editor, and Online Producer/Audience Analyst for the Hartford Courant. In these roles, he led the development and deployment of mobile news products for three mobile websites, developed the organization’s subscription-based digital news service, determined social media goals and strategies, and produced multimedia content designed to enhance reader engagement and interaction. 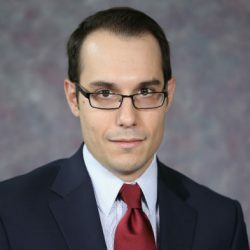 Michael is a graduate of Brandeis University, and he earned his Master’s Degree in Journalism at Quinnipiac University. He can be reached at michael.grillo@mymobilelyfe.com. 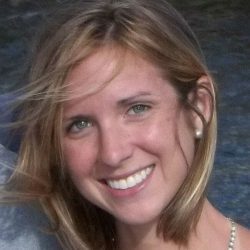 Cait Lutfy ensures the creation of insightful and engaging marketing content for MyMobileLyfe, writing and editing articles for the company and its diverse range of clients. As a public health communication professional whose work has taken her around the world, Cait has an innate ability to communicate critical information to those in need. Her editorial skills are evident in the work she produces, especially for MyMobileLyfe’s clients in the health sector.